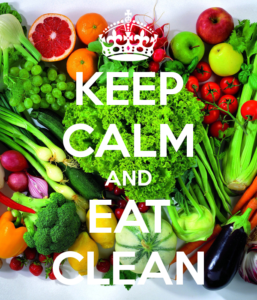 Would you like to start eating “cleaner”? Not sure where to start or perhaps it looks too overwhelming. There are several ways to get going to change your life in a positive with this healthy life. You don’t have to jump all in, start with small changes first. Pick one area that you want to improve on and decide to do it. For example, you could replace one juice, soda or energy drinks with water for a certain amount of time (one afternoon, or one whole day, for example). Then once you’ve got the hang of that, eliminate high-sugar drinks completely. You don’t have to get rid of all your groceries and replace everything all at once. That could be expensive and overwhelming to do. Instead, pick an area and improve on it daily until you’ve mastered it. Frozen vegetables and fruit have less preservatives than canned. Stop buying in the canned food aisle and replace those with either fresh food or frozen. The taste is better and you won’t lose the nutrients from either of those options. 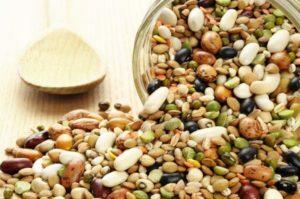 Beans and legumes (such as chickpeas or lentils) are a great source of plant protein. They fill you up and can be added to a variety of recipes. You’ll want to start incorporating beans into your diet. Unfortunately they can be time consuming to cook. One of the best was to cook them fast is with a pressure cooker. You don’t even need to pre-soak them. Throw them in, turn the cooker on and wait for the beep. Depending on the type of beans, it usually takes about 45 minutes. You’ll want to buy a variety of fruits and vegetables. There are many that are easy to carry with you to work, or on trips, such as bananas, apples, oranges, grapefruit, carrots and celery (opt for the lower-sugar options such as grapefruit and celery). Cut or prepare the fruits and vegetables. Place them in the fridge in an easy and convenient place. When you are heading out the door, you can grab a snack bag or two and go. Surprisingly, this is not true. Salads stay fresher longer when they are put inside of a wide-mouthed Mason jar. The trick is to layer them correctly. Put the “wet” ingredients (such as tomatoes) on the bottom. Layer more veggies, with the lettuce or spinach on the top. Salads in-a-Jar can help you stay on track for sure. Every new journey starts with a single step. Start with these small steps to eat clean. Don’t expect to jump in and change everything all at once. Do it slow and steady and before long you’ll be an expert — and FEEL GREAT!!! 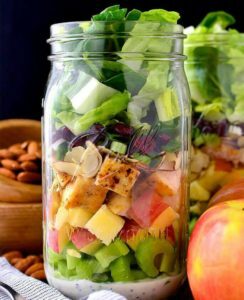 1 Response to "5 Small Steps to Clean Eating"
Love the salad in a jar idea. I recently completed a whole 30 program and lost 15 lbs, but the strict guidelines were unrealistic for the long haul.